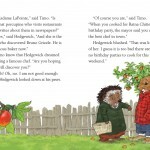 Can Timo be a good friend when it also means overcoming his shyness? 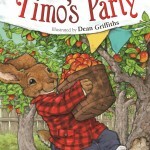 Big parties make Timo’s fur stand on end. 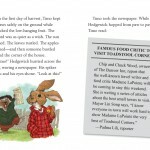 But hosting one might be the key to helping his friend Hedgewick’s culinary dreams come true; a famous food critic is coming to town, and an apple festival in Timo’s orchard would be just the thing to showcase Hedgewick’s cooking. 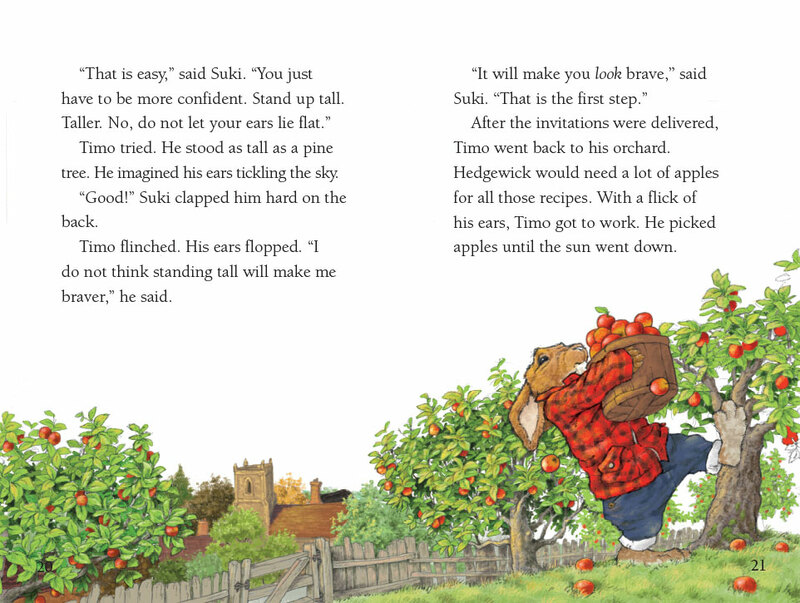 So the introverted rabbit begins to prepare the party, one invitation, decoration and arrangement at a time. 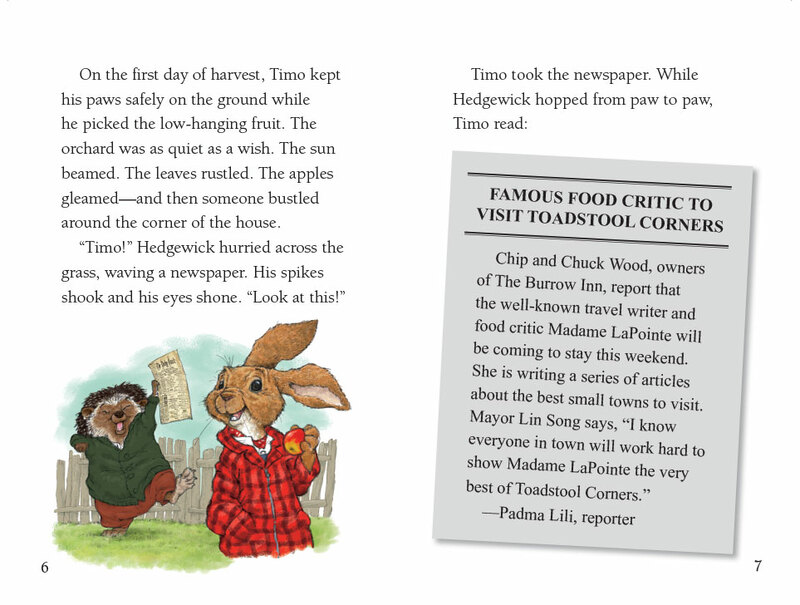 But when the big day arrives, will the support from his friends and his belief in Hedgewick’s cooking be enough to impress Madame LaPointe? 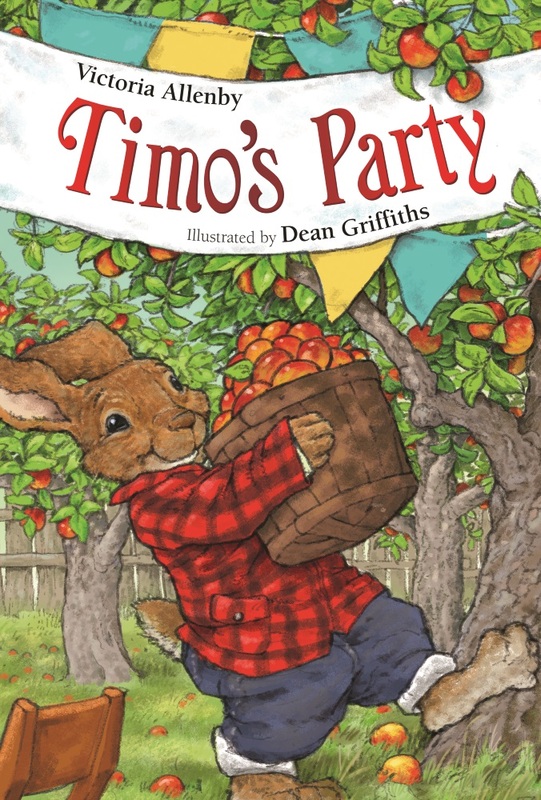 With innovative text inserts reflecting invitations and news articles, and Dean Griffiths’ expressive full-colour illustrations, Timo’s Party offers a friendly world and relatable problems for young readers to navigate. 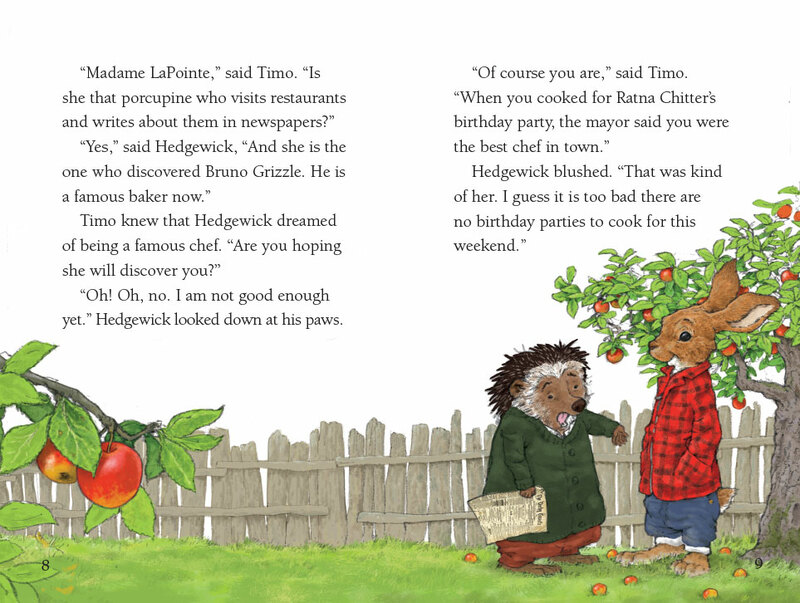 In this sequel to Victoria Allenby’s Timo’s Garden, an encouraging cast of friends helps Timo work past his anxieties to make Hedgewick’s cooking and the Apple Festival a scrumptious success! 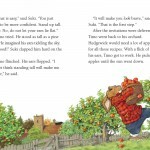 Also included is a recipe for a delicious apple cake that will inspire children to give hosting a try for themselves.